For more than 50 years, the Douglas Auto Group has served more than 150,000 customers in sales and service. That means if you’re in the market for INFINITI cars for sale in Summit, New Jersey, Douglas INFINITI has the track record you can count on. Craving the speed of the INFINITI Q60? Intrigued by the spacious seating of the INFINITI QX60 or the roaring horsepower of the INFINITI Q50? 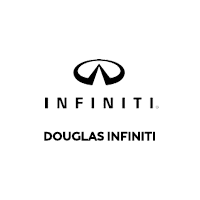 Douglas INFINITI is a new and used car dealership that’s proud to carry a vast inventory of new and certified pre-owned INFINITI sedans and SUVs that meet your criteria. The dedicated staff in our on-site finance center works with several different area lenders to find a competitive loan or lease rate that fits your budget and credit history. After you drive away in your new vehicle, our INFINITI Service Center will be waiting to perform scheduled service and advanced repairs so that you can get back to driving your new INFINITI. Integrity: We’re human and will occasionally make mistakes, but we’ll never aim to hurt you because of it. Respect: We aim to do what is right at all times. This is a promise we make to our employees and you. Trust: We are dedicated to earning your business right now and in the future. Contact us to set up a test drive or for directions to our Summit, New Jersey, location.